The easy way to magic your witchcraft and occult books into cash! 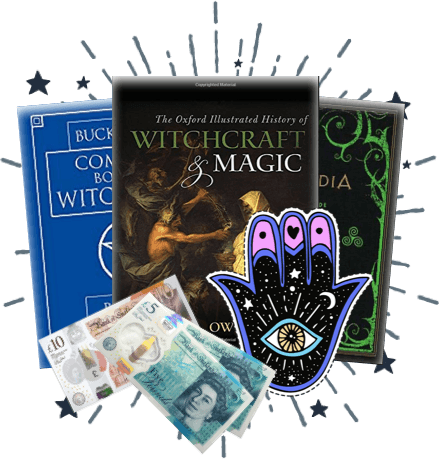 With our hassle free, super speedy system, you can exchange your witchcraft and occult books for cash in less time than it takes to brew up a potion, so you can treat yourself to new reads sooner than you think! How do I sell witchcraft and occult books using WeBuyBooks? We’ve simplified the selling process down to four easy steps: enter the ISBN numbers of your books in the selling basket, receive an instant online valuation, send your items to us, and then get your cash! We know it sounds like magic, but we can assure you that it’s reality. And it gets even better, as we offer top prices for your unwanted witchcraft and occult books, and provide you with a pre-paid postage label so that the process won’t cost you a single penny. 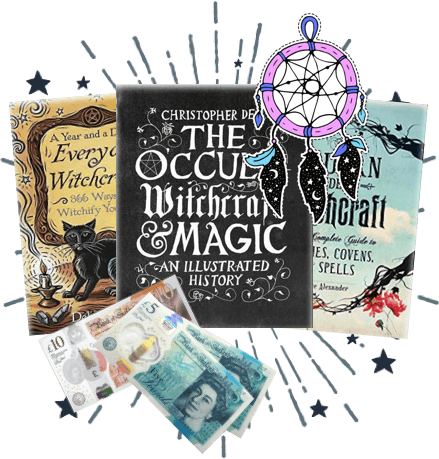 Plus, you’ll receive your cash the day after we’ve checked your books, meaning you won’t have to wait long to treat yourself to new witchy supplies. Make the process even easier with our mobile app! 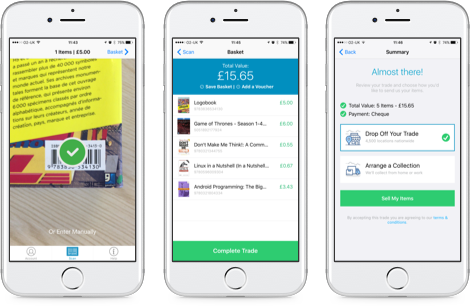 Our app will instantly transform your mobile camera into a scanning device, so you can scan, value and sell books whenever and wherever – magic! What condition do my books have to be in? If your items have suffered a cauldron spillage or two, or if pages are scattered with muddy cat prints, we probably won’t be able to accept them. But if they’re in a decent condition, free of stains, missing pages or damage to the binding, you should be able to sell witchcraft and occult books for cash, and be pleased with the payout too! Have a read over our item condition guidelines to avoid any disappointment. witchcraft and occult books today!